Social media footage set of three glossy vector Twitter symbols that make perfect buttons for your website or blog. Link your Twitter feed to all your social media accounts for keeping up with friends or business networking. Download these free graphics for your web, apps, advertising and self-promotional designs. 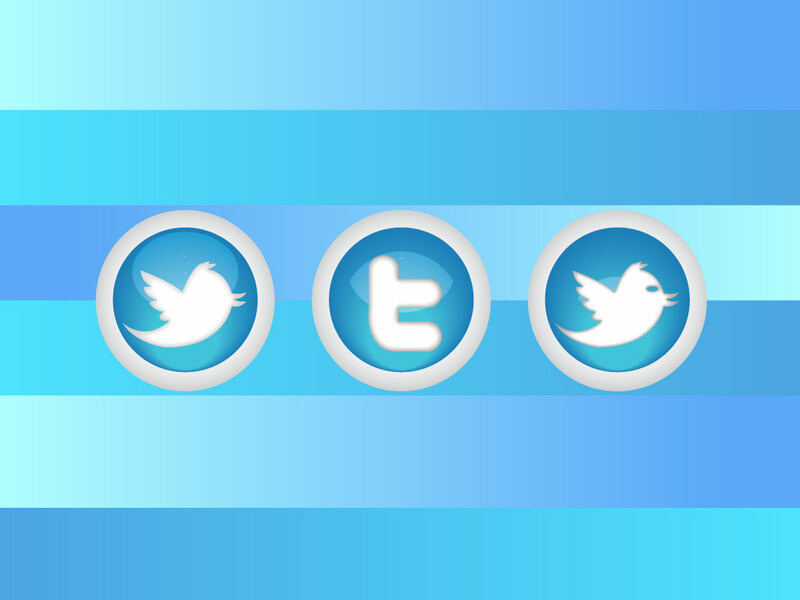 Tags: Apps, Internet, Promotion, Social Media, Tweet, Twitter Logo, Twitter Vectors, Web.